Pathfinder Wooden Swing Set is Featured in Popular Mechanics Magazine! Their May 2012 Issue Gives Us a Great Product Review. 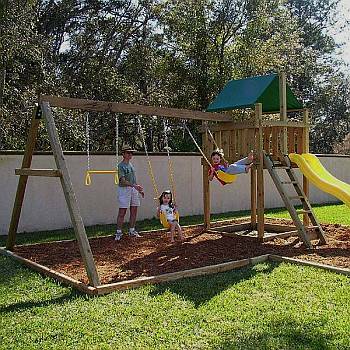 We are very pleased to announce that Popular Mechanics magazine has featured the Pathfinder Wooden Swing Set kit in their May 2012 issue as their DIY Home project. We are very greatful and excited that they have given such a great review and strong endorsement of our wooden swing set kits. They began their project by explaining the benefits of a do-it-yourself swing set kit, like the Pathfinder, over hiring someone to build your swing set or starting from scratch. "We don't recommend either approach. The first is expensive. The second is risky: Do you know what constitutes hardware that's strong enough to support a swinging child? That's where this project comes in." Popular Mechanics chose BackyardCity.com for their swing set hardware because they thought we were a "reputable company" that featured durable and well crafted hardware. They raved about the craftsmanship and quality of our swing set kit. Using the Pathfinder three swing hardware package and wave slide with wood they they purchased locally, Popular Mechanics completed an entire swing set including swings, trapeze bar, sandbox, slide, and ladder in less than 3 days. They were very impressed with the "detailed construction plans" and featured a step-by-step guide, complete with pictures, for completing the project. The article also featured a detailed materials list and a shopping list for lumber, which you can also find on our page for Pathfinder Wood List. 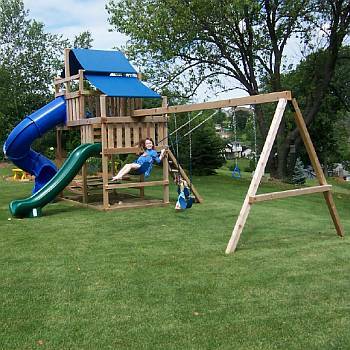 Read the full How to Build a Wooden Swing Set article. 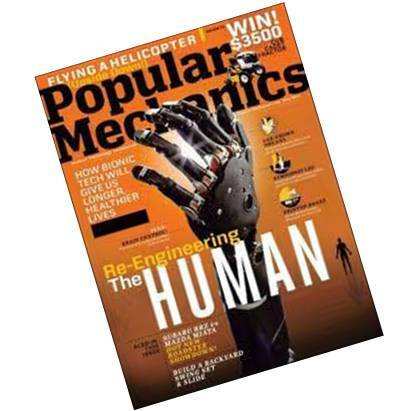 To get access to all the great projects that Popular Mechanics has features, you can Subscribe to Popular Mechanics or pick up the latest issue on newsstands today.